﻿Greene County Schools' Science, Technology, Engineering, & Mathematics (STEM) program will assist students realize their potential by supporting their exploration of STEM related careers, develop multi-cultural relationships within teams to collaboratively solve problems by encouraging the development of 21st-Century skills, provide a curriculum with valuable life lessons, and by supporting their post-secondary education to solve tomorrow's global issues. Students using Canvas for their STEM courses can access course content, grades, and teacher comments 24 hours a day throughout the semester. Stay informed by browsing the district website to view information on academics, community events, and district news. ​Greene County offers STEM tours throughout the year for schools or districts interested in learning how to establish a STEM program framework. Greene Central High, Greene County Middle, or Snow Hill Primary are available to experience the various components of each schools STEM programming. During the STEM Ambassador lead tour, guest will have the opportunity to observe STEM integration in classrooms, the MakerSpaces, speak with STEM Ambassadors, and leave with a STEM implementation blueprint. 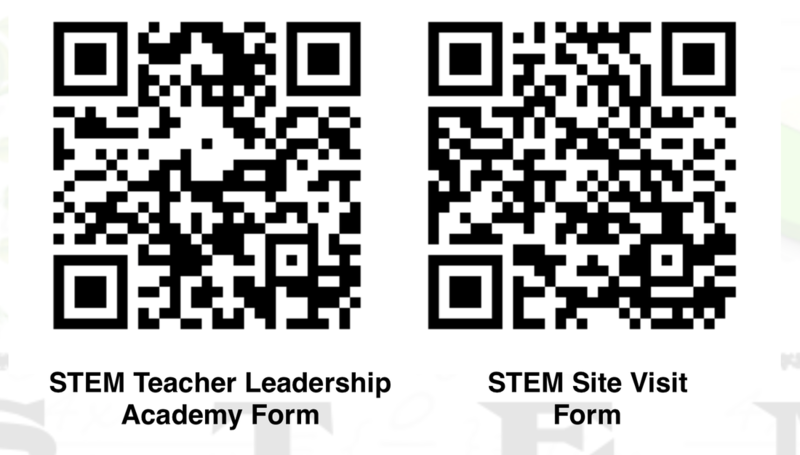 Scan the STEM Site Visit QR Code for more information. The Weather-Ready Nation Ambassador initiative is an effort to formally recognize NOAA partners who are improving the nation’s readiness against extreme weather, water, and climate events. As a Weather-Ready Nation Ambassador, this organization is committing to work with NOAA and other Ambassadors to strengthen national resilience against extreme weather. Greene County Schools hosts its 5th Annual STEM Expo to celebrate K-12 student learning in science, technology, engineering and math in correlation with the North Carolina Science Festival (NC Science Festival). Local, regional and state educational institutions, organizations, and businesses will be in attendance. The STEM Expo serves to showcase student products, engage the community, strengthen partnerships and raise STEM awareness. Greene County Schools (GCS) in North Carolina has a long history of developing opportunities to increase student engagement and provide extended learning opportunities. After-school programs and investments, supported by the Collaborative Project, created a culture of greater student access to academic enrichment in Greene County. ¿Qué es TuPortalSTEM?TuPortalSTEM es un portal web dedicado a la Ciencia, la Tecnología, la Ingeniería y las Matemáticas (STEM). Fue diseñado para crear conciencia y aumentar el acceso a la información entre los estudiantes hispanos y sus familias sobre la educación STEM, carreras en STEM y programas y oportunidades en STEM. What is TuPortalSTEM?TuPortalSTEM, a web portal dedicated to Science, Technology, Engineering, and Mathematics (STEM), was designed to raise awareness and increase access to information about STEM education, STEM career opportunities, and STEM programs and opportunities for Hispanic students and their families. *Para ver en español desplácese hacia abajo. Lt. Gov. Dan Forest: "By the year 2040, 75% of all jobs will require a background in computer science. In my latest video I showcase the work Greene County is doing and how their middle school is a template for what we’d like to give to every student in North Carolina". "The reason I want to keep being in STEM is because I have learned a lot. I never thought STEM would make me a better student and improve my skills. STEM is offering me many opportunities in order for me to be successful. I want to continue learning and trying new things. I want to prepare myself for college, jobs, and the life out there; STEM can do that for me. " "I have enjoyed doing STEM Science in 8th grade. I enjoyed the Grand Challenges because they are hard but they challenge me in a way that helps me grow as a student. I like the way STEM classes are taught and it fits me. I enjoy STEM classes and want to continue in them and improve myself for the future."